SELAH, Wash. -- As spring chinook make their way up the Yakima River this year, a select few are taking an unusual route: through new vacuum tube technology being tested at Roza Dam. 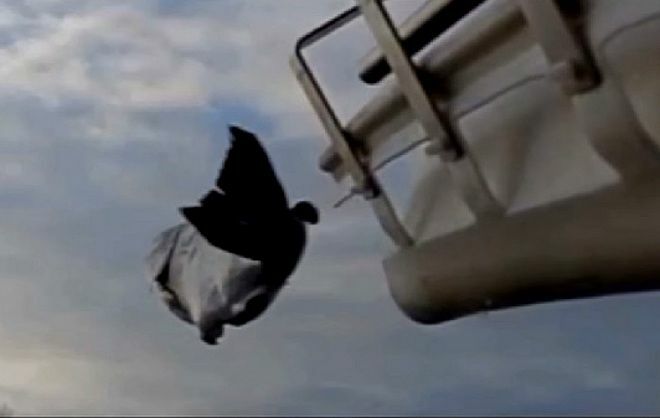 The Yakama Nation Fisheries is working with Bellevue-based Whooshh Innovations to study a system that uses a flexible sleeve and gentle suction to send live salmon 40 feet across the dam's fish collection facility and into a tanker truck in just seconds. Eventually, the technology could help fish pass over and around Northwest dams, but first it needs to be proven safe, said Dave Fast, senior research scientist for the Yakama Nation. Test runs on a coho last spring showed no immediate problems, but the fish biologists want to study the long-term effects. When spring salmon clear the Roza Dam, the vast majority continue their migration upriver to spawn. But a fraction of the returning fish -- about 450 -- are diverted at the dam to be used for broodstock at the Cle Elum hatchery. Of the diverted fish, about 20 percent are being sent through the tube, rather than being hand-carried some 40 feet by workers who must run them from a holding tank to a tanker truck, which will transport the fish to the hatchery some 50 miles away. Each fish carries a tiny identification tag, allowing biologists to track them to see if there are any ill effects on reproduction and eventual offspring that might result from the few seconds of suction, tribal research scientist Mark Johnson said. If there are no negative consequences, all future fish destined for the hatchery will travel through the vacuum tube into the truck, Fast said. It's far faster than the current method of hand-carrying the weighty fish and the technology makes it easier on both fish and staff, he said. Later this spring, the engineers will return to the Roza Dam to test a new modification that would allow fish to go directly from the collection tank's slide into the vacuum tube without being handled by people. Figuring that out is the next step toward Whooshh Innovations' long-term goal of using the tubes to safely pull salmon over dams, Fast said.